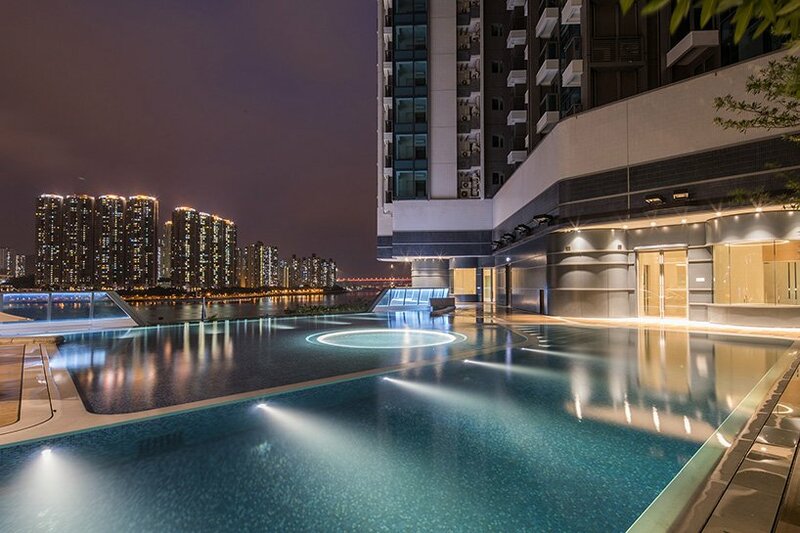 located on the seafront of hong kong’s rambler channel, THE PAVILIA BAY offers a distinct highly sumptuous yet personalized living experience in the city. 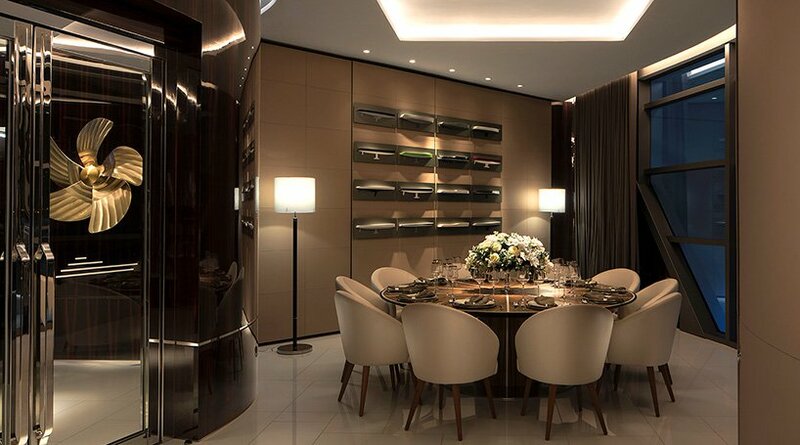 the residence is the latest project of the pavilia collection under the artisanal movement of new world development. following that of the ‘bohemian house‘, THE PAVILIA BAY continues to manifest the brand spirit of this movement. 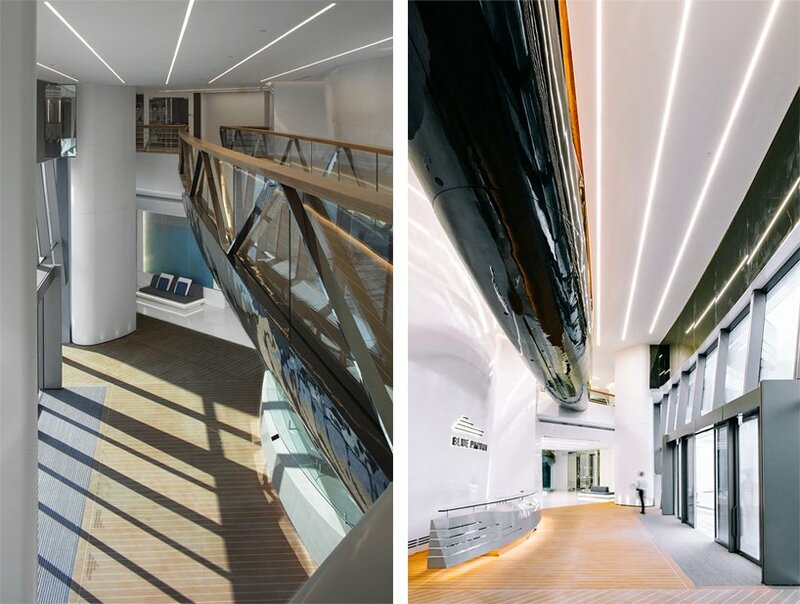 however, this time, its theme focuses on a different sense of bespoke, one inspired by superyachts. 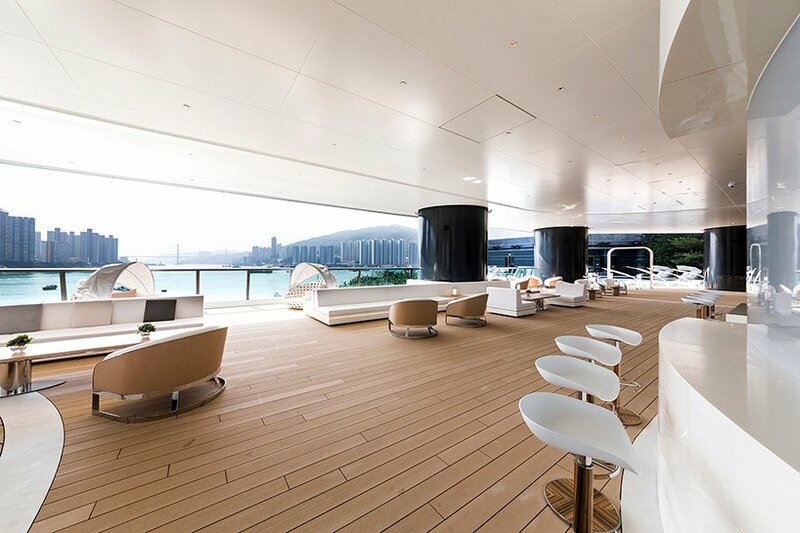 with a sleek and nautical façade, THE PAVILIA BAY hints at its distinctive inspiration of a yacht in full sail. 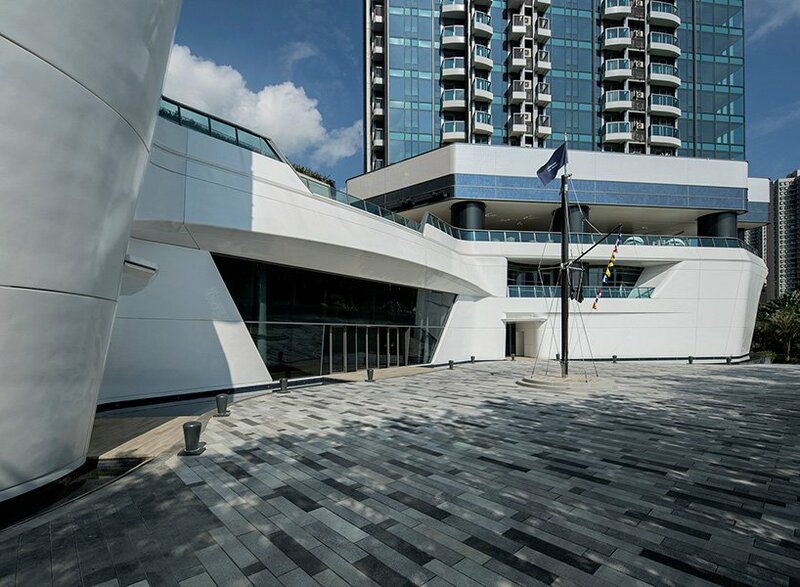 at its entrance, the podium design echoes the grand, awe-inspiring bow of a ship in an aim to give residents a feeling of helming one about to set off on a world voyage. it is constructed from more than 650 steel plates, weighing more than 75 tons, with each one crafted uniquely through a complicated yet superfine fabricated technique. 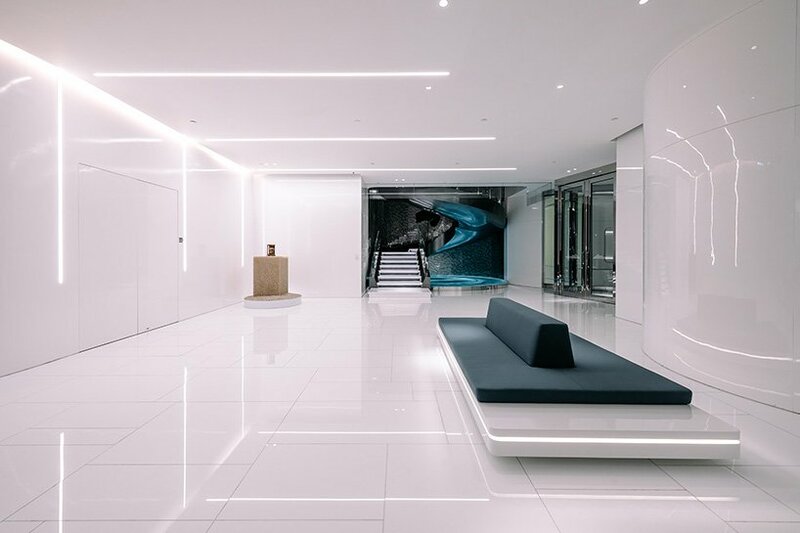 perfecting the façade, surrounding underwater lights illuminate the entrance by imitating the look of a massive superyacht in the ocean at night. 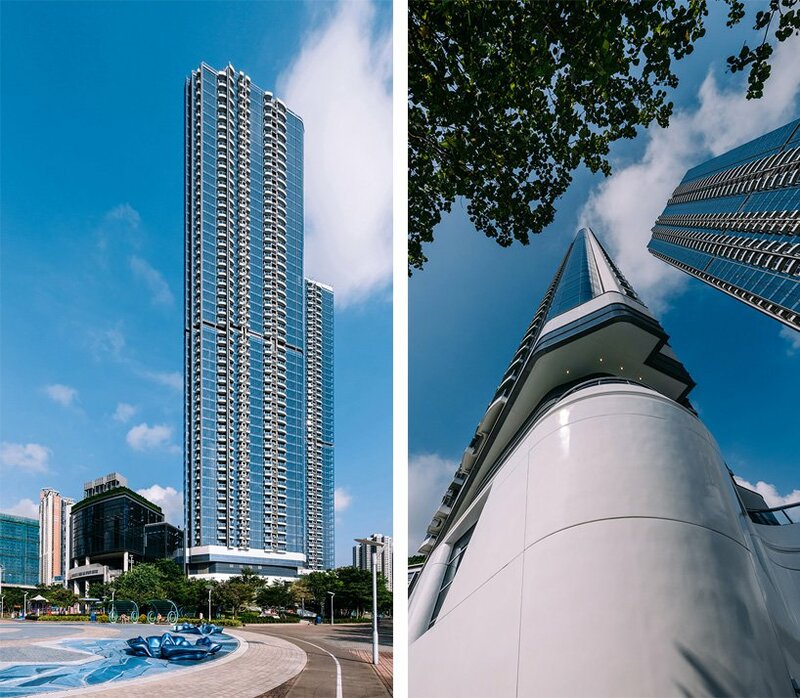 designed by french superyacht designer philippe briand, the residences clubhouse, BLUE PAVILION, and pool is the heart and soul of the concept. it combines the essence of superyacht features – optimal proportions constructed from natural and weather-resistant materials. through sublime craftsmanship, the comprehensive design delivers an individual beauty that pleases the eye whilst prides the owners. 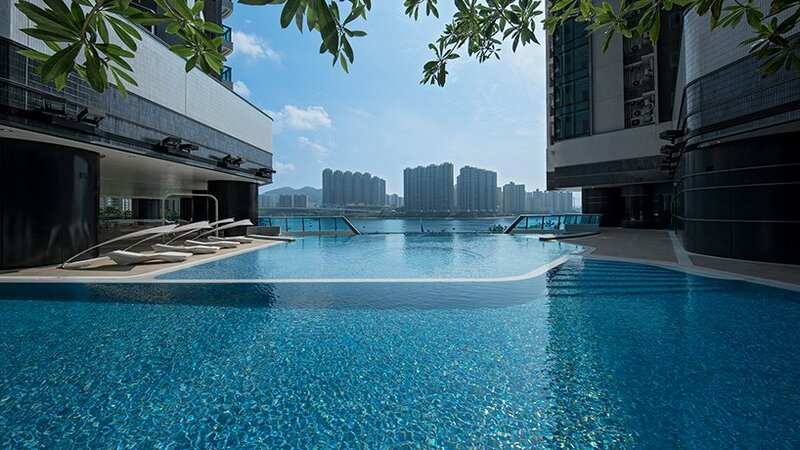 from an extensive setting to sweeping views of the ocean, the clubhouse creates an immersive oceanic vacation aura. the craftsmanship and characterization of the design can be found in every detail of the residence. 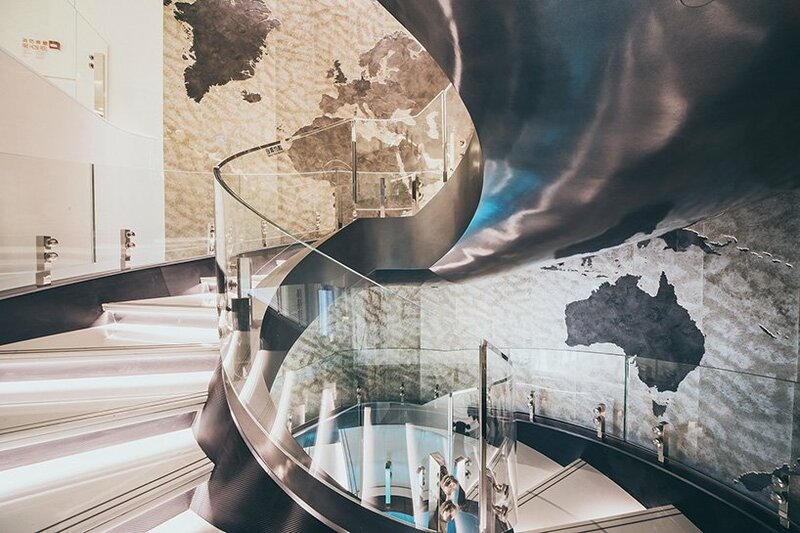 creating an imaginary ocean odyssey, the spiral staircase features a wall of relief world map that was handcrafted piece by piece. as well, inside the clubhouse, the bridge and flag pole have been constructed from carbon fiber. these one-of-a-kind creations involved multiple steps of molding, resin infusion and casting, which took more than one and a half years to complete. 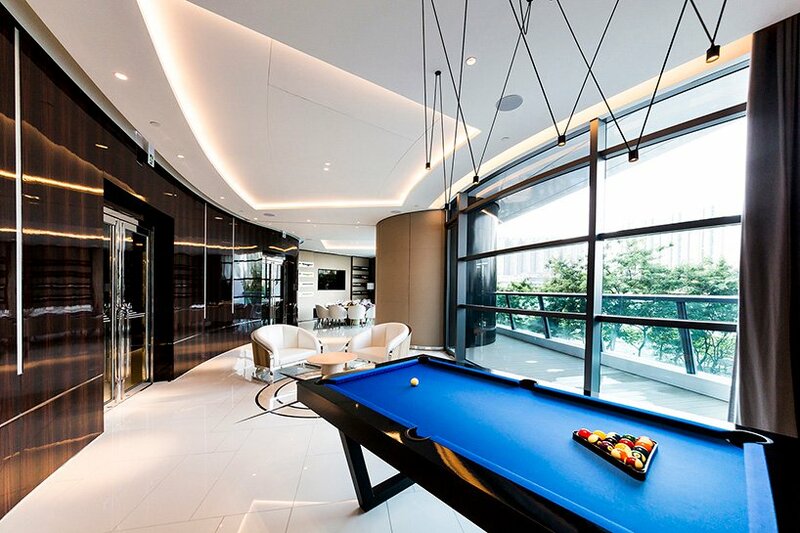 the artisanal precision, exclusivity and uniqueness of the residence is further showcased with the function room. 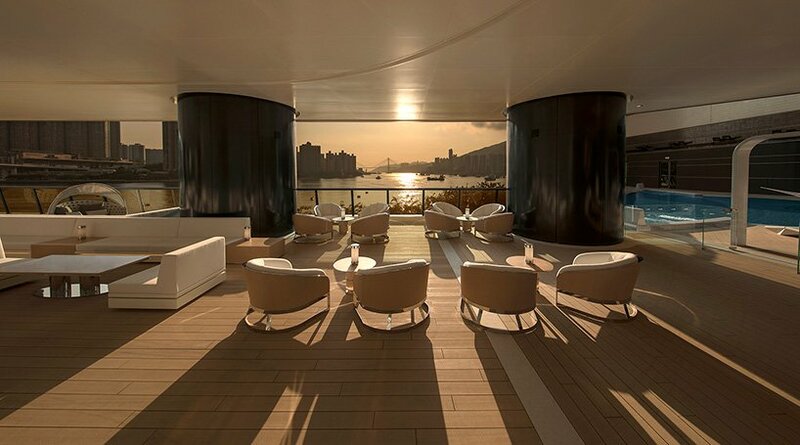 delicately decorated with the spirit of naval architecture, the space features classical glossy wall finishings and tailor-made round dining tables with wood veneers. however, what perfects the setting, as well as THE PAVILIA BAY overall, is the enchanting seaviews of rambler channel it offers and enhances. the design highlights new world development’s bespoke creation of a new artisanal living experience where art, people and nature collide.